What's black and white and read all over? This rosacea update! Rosy cheeks? Ruddy complexion? Pimples and pus bumps? Enlarged bumpy nose? Redness and irritation of the eyes? All of these symptoms suggest a diagnosis of rosacea, a chronic inflammatory condition of the skin. Patients often want to know what causes it. Researchers have been hard at work trying to answer that very question. The truth is that it’s probably partly genetic and partly from the patient’s environment. We’ve known for awhile that things like caffeine, hot beverages, alcohol, and spicy foods can cause flares. Sun exposure and sun damage tend to worsen the disease with time too. There are also organisms such as Demodex mites on the skin (yes, everybody’s skin) that may trigger flares in some people. Some studies of twins showed that rosacea likely has a genetic basis as well. Identical twins who have the same set of genetic information have more similar rosacea scores than fraternal twins who have different sets of genes (but are as closely related as other sets of siblings). The genetic information someone inherits may control things like the immune system’s response to the environment. For example, a rosacea patient may have more inflammation from exposure to the same trigger than a normal person who is exposed to the same thing. There's also the idea that “vascular signals” are elevated in rosacea. This may explain why there is easy flushing and persistent redness. There recently has been a large focus on rosacea and its association with other disease including heart disease, high blood pressure, gastroesophageal reflux and even dementia. While further study is needed in all of these areas, it does make sense that inflammation in the skin is not only confined to the skin, and some of this inflammation MAY be associated with disease elsewhere in the body. At this time, no increased testing is recommended for rosacea patients. We continue to recommend the routine screening tests that are recommended for the general population for our rosacea patients unless specific signs or symptoms are present. Some new treatments have been developed in the last few years in addition to the tried and true therapies such as oral antibiotics and topical antibiotics. The relatively recent addition of topical ivermectin cream has helped a lot of patients achieve better control. Other topical medications can act on the blood vessels to decrease flushing and help with redness in particular. We continue to recommend photofacial treatments targeting the blood vessels as well. All of these treatments are best accompanied by consistent daily facial sunscreen use and gentle skin care. With continued research on the horizon we have hopes that rosacea care will be even further improved in the future. Ask the Expert: Which sunscreen should I be using? SPF – Sun Protection Factor- is a commonly misunderstood concept. It is essentially a ratio of how much UVB rays are being filtered out. To decode, think of it this way: SPF 15 filters out 93% of the UVB rays while SPF 30 filters out 97% of the UVB rays. The numbers don't increase proportionally, so going above 30 doesn't help all that much. No sunscreen filters out 100% of the sun's harmful rays. This means that the sunscreen blocks both UVA and UVB rays. UVB rays have a shorter wavelength and are associated with sunburns. UVA rays, however, are just as dangerous and are associated with long lasting sun damage. You want to protect yourself from both. Sunscreens are made up of either physical blockers, chemical blockers, or a combination of the two. I personally prefer the physical blockers like zinc oxide, titanium dioxide, and iron oxide simply because one ingredient blocks both UVA and UVB rays. They are basic minerals, rather than chemicals, which can be irritating to the skin or produce frank allergic reactions. PABA and oxybenzone are common chemical culprits for these problems. Neutrogena Purescreen, Blue Lizard, and Elta MD lines all have pure mineral sunscreens. The downside to these is that they can make you look a little pasty. Elta MD, in particular, makes several micronized zinc and titanium sunscreens that keep you from looking ghostly, which is why it's my sunscreen of choice for the face. The sun is our biggest contributor to aging. Daily sunscreen is a key ingredient in my daily anti-aging regimen. 90% of skin cancers are related to ionizing radiation from the sun, so sunscreen is integral in keeping you cancer free. A little sunscreen goes a long way! If you have acne scars, they can be a painful reminder of how hard it was to live with severe acne. 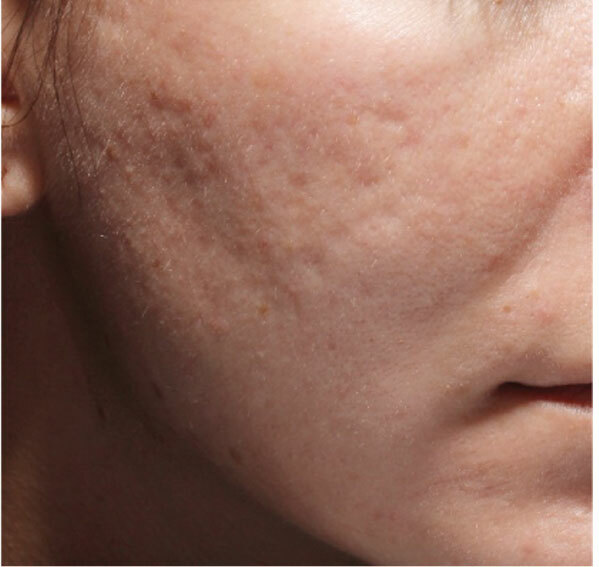 In the past, limited options had been available to treat acne scars, but there are a few new therapies worth considering if you are bothered by acne scars. Rolling scars: shallow depressions with softer edges and less deep than boxcar scars. For ice-pick scars, since they are so small and deep, a helpful technique is punch excision. This means taking a small tool called a punch and removing a core of skin usually 2-3 mm wide. This area would then be closed with a suture to remove the defect in the skin. After healing, additional treatment might include laser therapy to smooth over the tiny healed scar from the punch excision. An alternative to excision is application of high-potency peeling agents (such as trichloroacetic acid) directly into the scar with the tip of a needle or a sharp tip of a wooden applicator. The controlled injury of the skin can effectively cause the skin in an ice-pick scar to heal back together. For boxcar and rolling scars, a tried and true method of treatment is the mid- to high-potency chemical peel. These procedures are great because they are relatively widely available and tend to be lower cost than newer treatments. The downside is that chemical peeling can have some downtime and may sometimes leave hyperpigmentation in darker skin types. It also may not be as effective as other newer therapies. One advantage of chemical peels is that they help if acne is still occurring and can be part of an acne treatment regimen in addition to addressing the scars. Another tried and true method of treatment is subcision, a technique where a sharp needle is inserted into the skin below the scar and moved back and forth to release the scar tissue from the underlying deeper tissue. Simply by causing a controlled injury there will also be stimulation of new collagen formation as well. This technique is often used in combination with other newer techniques. Microneedling is one newer technique that has been very successful in recent years. It involves a roller type of device that inserts tiny sharp needles into the skin as it is rolled over the tissue. It sounds more painful than it actually is because the needles are so very tiny. Microneedling is well-tolerated in all skin types and usually requires a series of treatments to create the desired effect. It works by creating small, controlled injury to the skin with the tiny needles. The healing process allows new collagen to form and lessens the appearance of the scar. Microneedling can sometimes be combined with a radiofrequency device that will heat up the collagen and also stimulate a healing response. Topical application of growth factor serums or even the patient's own platelet rich plasma are sometimes recommended with the microneedling technique. Laser resurfacing has been available for several years, but recent years have seen an explosion in the number of fractionated laser resurfacing devices. Fractionation of laser energy means that instead of creating injury to the entire surface of the skin, tiny dots of injury are made against a background of non-disturbed skin. This technique promotes rapid healing and has less downtime with less risk of discoloration of the skin. Multiple different devices are available. Resurfacing is best for boxcar and rolling scars but is less helpful for ice-pick scars. Injection of dermal fillers into rolling scars and some boxcar scars can be particularly helpful. Hyaluronic acid is widely available and well-tolerated. Injection may need to be repeated over time as hyaluronic acid will dissolve over time. Multiple brand names of hyaluronic acid exist on the market. A longer-lasting option is polymethylmethacrylate (PMMA) complexed with bovine collagen, otherwise known as Bellafill®. This newer filler is FDA approved for acne scar treatment and may last up to 5 years. A skin test is required prior to treatment to make sure no allergy to bovine collagen exists. This filler has shown particular benefit compared to other fillers in the acne scarring category. It can be combined with subcision to achieve maximal results. Acne scar treatment is best addressed by different methods depending on the type of scar and the needs of the patient. Combining therapies such as subcision with filler injection or microneedling may be of particular benefit. Consult with your dermatologist regarding which treatments are right for you! If you or a family member suffer from severe eczema (atopic dermatitis), you may feel like you have been living in the Dark Ages. Every time you go to the doctor, you hope for some new therapy, but it has always been the same answers for the last 10 years with a variety of creams, foams, and gels that more or less left you scratching your itchy skin. It is now the dawn of a new era in eczema therapy. Molecular targets have been identified as targets of new drugs. In other words, the immune system of people with eczema is overly active in certain ways, and medicines have been developed that hone in on those particular elements of the immune system that are too active. One medicine that has just been approved is dupilumab, a target of two interleukins involved in stimulating eczema. The medicine has been approved for adults, and phase III clinical trials for children are underway. The study looked at adults who started out with severe eczema, i.e., some of the toughest cases out there. 36-38% of them were "clear or almost clear" at the end of 16 weeks. The studies also measured something called the EASI score, which stands for Eczema Area and Severity Index. Around 50% of patients saw a 75% improvement in their EASI score. These results left me pretty impressed. If even half of my severe eczema patients can feel and look 75% better, that's a treatment victory. Dupilumab is an injectable medication that the patient can self-administer at home. If that sounds intimidating or scary, don't worry too much. A nurse educator can train you on how to give yourself the shots. That temporary prick of the needle may be well worth it in the long run if your eczema is better controlled. The side effect profile of dupilumab was not too alarming. The most common side effect was pain and redness at the injection site, but no one dropped out of the trial due to this side effect. The second most common side effect was conjunctivitis, or eye redness and irritation. There was also increased incidence of herpes virus infections. We are still learning more about how to manage the side effects, but it will be important to mention to your doctor if you have a history of cold sores or genital herpes. Your doctor may want to prescribe an antiviral medication for you. Not everyone's immune system is the same, and there will be other molecular targets that can be targeted too. Several other agents are in phase III clinical trials now for FDA approval targeting other molecules involved in triggering eczema. There was also a new topical medicine that was approved for eczema this year, crisaborole. It is a boron-based medication that inhibits an enzyme called phosphodiesterase that can trigger inflammation. As opposed to topical steroids, it won't thin the skin over time. I generally will plan to use this medication in addition to topical steroids so that there can be days when steroid creams are not used but the eczema is still being actively treated. Treatment of Staph infection or even carriage of this bacteria in the nose is another point I want to reiterate. Many patients have benefitted from a regimen that includes a dilute bleach bath just a little stronger than swimming pool water once or twice a week. The Staph bacteria seem to really love to colonize the impaired skin barrier of eczema patients. In turn, this stimulates the immune system and the eczema gets worse, and that is why decreasing the numbers of Staph bacteria on the skin is so important. Finally, don't throw away all of your topical steroid creams yet. Topical steroid creams for flares and regular use of emollient creams will continue to be the standard for treating eczema. Not everyone will be a candidate for dupilumab or other molecular targeted therapies. However, it may be a great time to review your current therapy with your dermatologist to make sure you are receiving the most appropriate regimen for your skin. Simpson EL, Bieber T, Guttman-Yassky E, et al. SOLO 1 and SOLO 2 Investigators. Two phase 3 trials of dupilumab versus placebo in atopic dermatitis. N Engl J Med. 2016; 375: 2335-2348. I had once thought that bedbugs were mere mythical creatures spoken only in folklore by people of my grandparents’ generation. It hasn’t been until recent years that I have discovered in fact the nasty little varmint known as the bedbug really does exist in a place other than my worst nightmare. Apparently, the bed bug has long existed but has only been more recently wreaking havoc in a bedroom near you. And unfortunately their presence has been on the rise and reaching epidemic proportions. I have personally seen an increasing number of patients present with mysterious itchy skin lesions only to find out they have an unwelcomed bedmate. In case you aren’t creeped out already, here are some facts about bedbugs. Also known as Cimex lectularis, the bedbug is a small insect that feeds on human hosts (yuck!). Their nickname comes from the fact that they tend to set up house in your bedroom, along your bedroom furniture and mattress and wait until you are fast asleep to make their way to you to feed, sometimes traveling several feet during the night to get there! Bedbugs are reddish-brown wingless insects that are about the size of an apple seed. So you can see them with your naked eye, but as you can imagine they can be easily overlooked, especially if there are only a few. The nymphs (baby bedbugs) can be even smaller and whitish in color. How do I get bedbugs? Bedbugs are the modern day hobo. They hitchhike from place to place as people travel. They may have arrived when your Aunt Sally came to visit after her most recent trip to the orient, or you may have picked them up on your last trip to the beach. And it's not just from the Roach Motel. These guys have caused problems in even the nicest of 5-star hotels, dorm rooms, and apartment complexes. They have even been known to travel down the street from house to house. I have had patients who unfortunately got them from their brand new mattress! What are the signs of a bedbug infestation? Patients frequently present to my office with a history of large, itchy red nodules that can persist for several days to a couple of weeks. These are often in clusters of three that we refer to as the "breakfast, lunch, and dinner" sign. This is because the bug feeds, rests, travels a few millimeters, feeds again, and so on. "I share a bed with my husband, and I am the only one that has bites. It can't be bedbugs!" Where do I look for the bedbugs? Bedbugs will hide in the seams of your mattress, bedframe, headboard, dresser crevices, inside/around your electrical outlets, between curtains/cushions, and at the junction of where the wall and ceiling meet. Look for them at night. 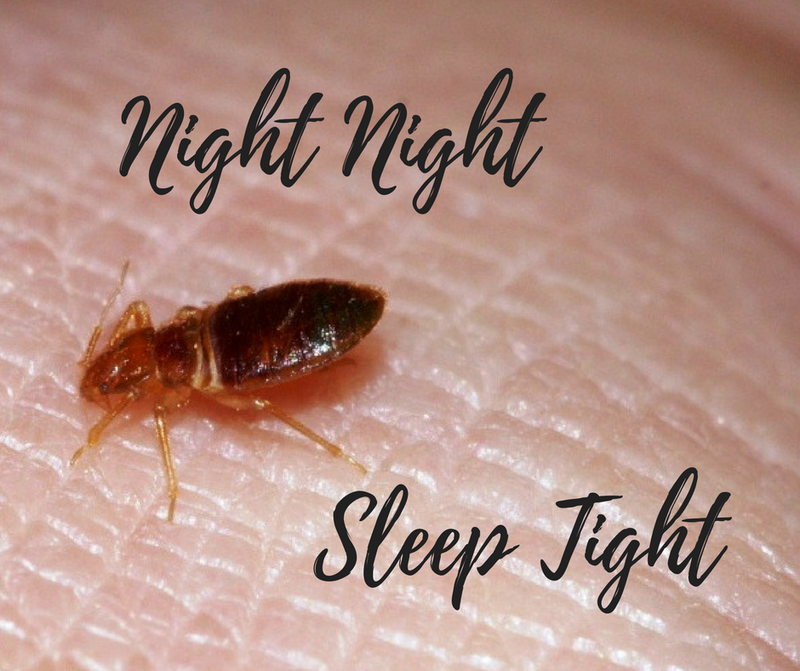 Bedbugs are nocturnal, and you won't see them out during the day. The search usually requires a flashlight and some help to lift mattresses and furniture. You may notice other signs of them besides the bug itself. Rust-colored stains on the bedding or mattress from bedbugs being crushed. They may also leave pinpoint dark spots that bleed like a marker would. "I looked for the bedbugs and couldn't find them, but I'm still getting new spots. What now?" Since the bedbugs can be hard to detect, especially with a small infestation, this frequently happens. If there is still a high suspicion, I have patients sleep in another bedroom or on their couch for at least a week to see if any new spots occur. If the spots decrease in production or stop completely with sleeping elsewhere, there is a high probability that you have some friends joining you in your bedroom. Calling a pest control specialist is almost always necessary as they are very difficult to get rid of with home remedies. There are various methods that can be used from pesticides to heating the home. How can I protect myself from getting bedbugs? Read hotel reviews before booking. When traveling, keep your belongings stowed and bags closed. There have been reports of bedbug infestations even on airplanes! Keep your suitcase zipped up. Try to avoid putting your clothes in the dressers and hang everything that can be hung in the closet. Do a quick inspection of your hotel room when you arrive. Check the furniture around the bed and the dressers for any signs of bedbugs. A few months ago, I had a patient ask me how global warming had affected the number of skin cancers I saw. I hadn't considered the question before, but I did mention that a warmer temperature by itself did not mean that more UV rays reach the earth. I did mention that thinning of the ozone layer, particularly in Australia, had played a role in increasing skin cancer rates. With this patient's question in mind, I read with interest an article by Kaffenberger et al. from the January 2017 edition of the Journal of the American Academy of Dermatology about how global warming could affect skin disease in North America. Since I can't remember which of my patients asked the question, I'm posting a quick review of the article here and hoping said patient is tuned in to my blog. If hurricanes, tornadoes, and floods were not enough to scare you, the expanded footprint of bacteria, viruses, and fungi that might occur with a warmer climate will. Lyme disease may expand further into Canada. It has already increased from an estimated 10,000 cases per year in 1995 to 30,000 cases per year in 2012 based on the larger range of habitat for the tick that carries it and the range of the tick's preferred hosts. The fungal disease coccidioidomycosis usually occurs in arid areas like Arizona but has recently occurred as far north as Washington state. 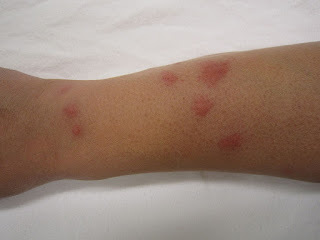 The parasitic disease leishmaniasis usually occurs in Mexico, but the disease's rodent reservoir and its vector the sandfly are expected to bring the disease further north as the temperature rises. Finally hand, foot, and mouth disease, a common virus well known to parents of young children, will likely see an increase in incidence with more temperate climates. Diseases that are rare in the United States and more common to tropical climates will start to move into the southern states. Dengue, chikungunya, and Zika virus are all transmitted by a mosquito that was originally native to Africa and Asia and is now present throughout North America. Dengue fever has already been reported in Texas and Florida. Increased rainfall and flooding will provide even more breeding ground for the mosquitos that carry these important tropical diseases and could make these diseases harder to control. Skin cancer will continue to be a problem as ozone is depleted. The second question is whether the weather will affect human behavior with regard to sun exposure. A two degree increase in temperature may increase skin cancer by 10% according to some authors, mainly because higher temperatures tend to lead people to spend more time outdoors. I write this post as a doctor to make my patients more aware of what health concerns we face together. We must be aware as a population that sunscreen and sun protective behavior are not optional as we spend more time in the sun with less ozone to protect us. We should have a healthy respect for the tropical diseases that creep our way and commit to being aware of the spread of these diseases as they occur. It seems that mosquito and tick bite prevention will become more important for our everyday lives. I also write this article as a citizen with concern for our policy making with regards to the environment. I hope that we can raise awareness of global warming as one of the critical issues facing our nation and our planet. The effect of climate change on skin disease in North America. Kaffenberger BH, Shetlar D, Norton SA, Rosenbach M.
1. Sunscreen: Do your future self a big favor and wear sunscreen. 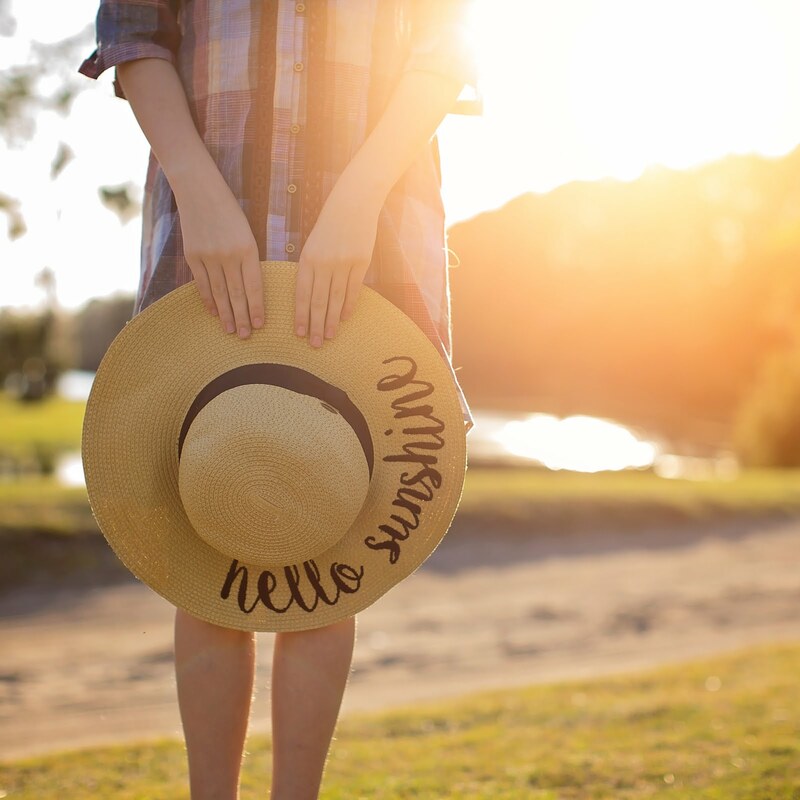 Even though you still have a few months out of the summer Texas sun, it is still imperative to wear sunscreen daily, especially on exposed areas such as the face. Not only do UV rays increase our risk of skin cancer, but they are also one of the biggest contributors to aging! Use at least an SPF 30 sunscreen on a daily basis. Sunscreens containing physical blockers like zinc oxide or titanium dioxide (eg. Neutrogena Prescreen, Blue Lizard, & Elta MD) are superior to chemical based sunscreens. Don’t forget to reapply if you are going to be outside longer than 2 hours. 2. Sun Protective Clothing: Remember that sunscreen does not block 100% of the sun’s rays. Physically blocking the sun is even more effective. While all clothing affords some protection from the sun, several lines of UPF (UV Protection Factor) clothing have made covering up really cute. These products are made of certain material and weaves that add additional protection from the sun. If you see me by the pool in the summer, I'm liking in one of these from the J Crew and Lands End lines. And since it's the off-season, these double as great (on sale!) Christmas gifts. 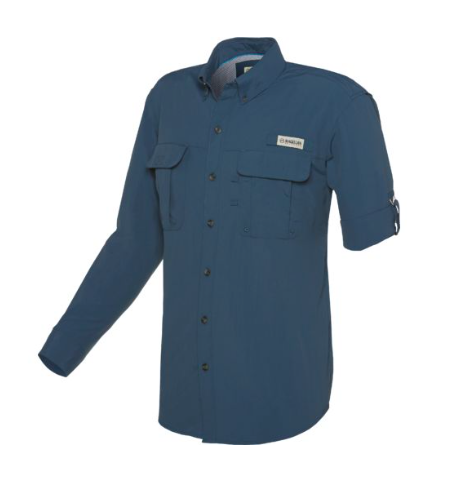 And for the "I-don't-like-wearing-sunscreen" men out there, the Magellan fishing shirts at Academy or the Columbia line are great options. Several athletic brands like Under Armour and Nike have created UPF clothing lines that are great for outdoor activities. You can also find several UPF clothing options, hats, and umbrella for the whole family at Coolibar.com. 3. Stop Smoking: Besides increasing your risk for lung cancer and heart disease, smoking is also linked to premature skin aging. It damages the elastic fibers, decreases blood flow to the skin, and prevents new collagen formation. Smoking additionally increases the risk of skin cancer formation, delays wound healing, and can exacerbate certain skin conditions like psoriasis. 4. Have your skin checked: Self skin exams should be a part of your regular routine. Be aware of any changes in color, shape, or size of your moles. We also encourage an annual skin examination with a dermatologist. Early detection of skin cancer is critical. Call us at 817-885-8222 to schedule an appointment for a full skin examination with one of our board-certified dermatologists.